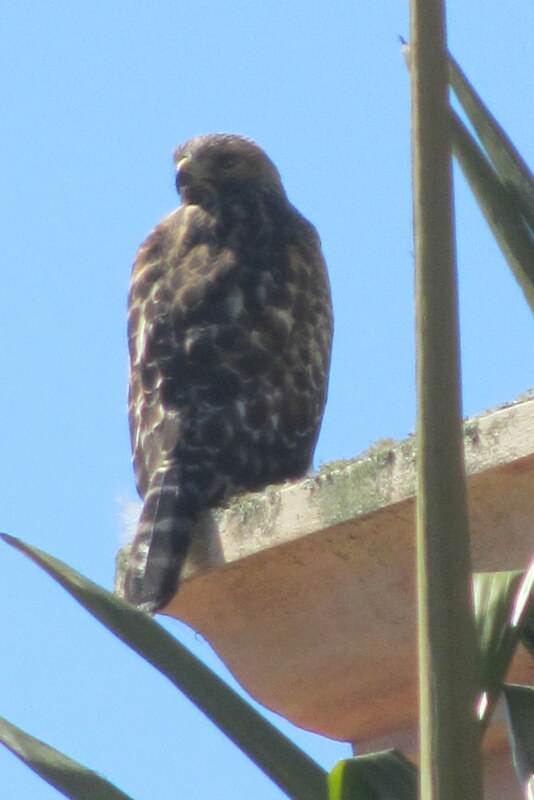 It’s summertime, and the living is queasy because of those relentless raptors in the sky, the red-tailed and red-shouldered hawks. 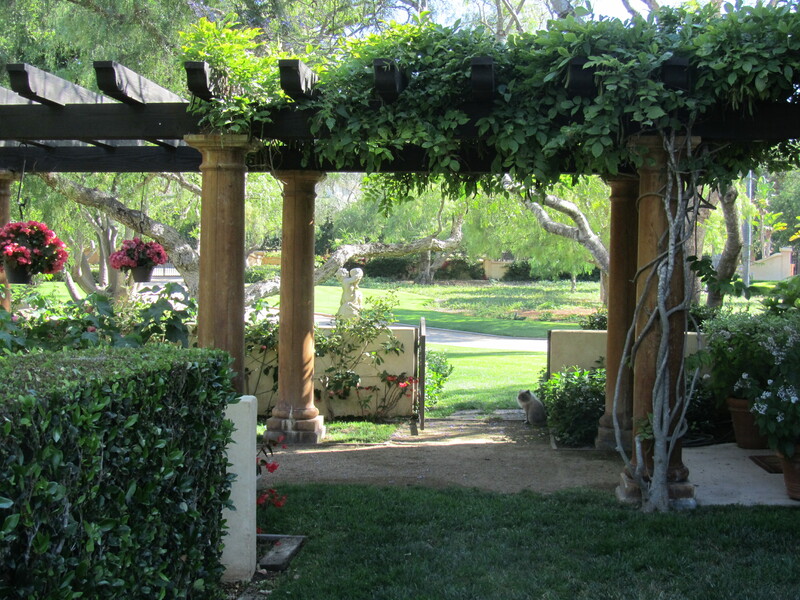 I used to step outside on a summer morning and revel in the tranquility of our semi-rural neighborhood. You might hear a blue jay’s hoarse cry or a mockingbird run through its repertoire, but otherwise it seemed so quiet that you could hear the trees breathe if you paid close attention. Then we got chickens. And I learned to tune in to the cry of a hawk. And now that’s all I hear. 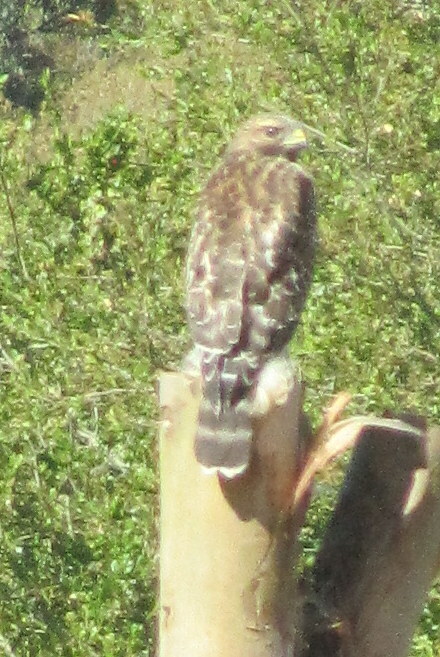 Because currently, from dawn to the last moments of dusk, our property is patrolled by a trio of hungry hawks. 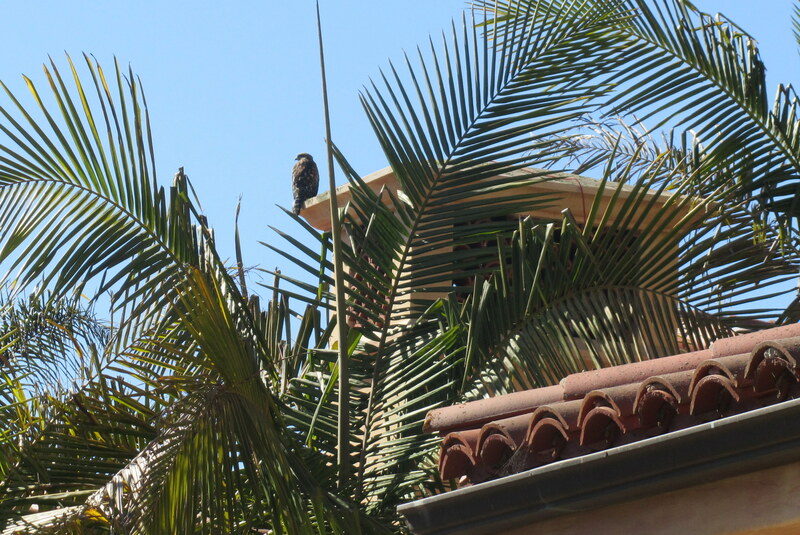 In April we saw the hawks pairing off and there were quiet weeks in May while they attended to their babies, but by the second week of June or so, they were back in action, with mama or daddy hawk showing a young one how to hunt down my chickens! Last week one of the hawks swooped down so suddenly that by the time I could get out to the chicken yard it was already gone and instead of six chickens, I saw only five plus a small pile of feathers on the ground where Pippa should have been! Surely there would have been more noise if the hawk had gotten Pippa, I thought, but I searched and searched and could not find her. Finally, after a few heart-stopping minutes, I discovered her, frozen in fear, but well-hidden beneath the bales of pine shavings we store on a workbench near the coop. The hawks behave with impunity, as if they know they are federally protected. Kill a hawk without a permit, and you will pay a hefty fine. It is not illegal to scare a hawk away, but they don’t scare all that easily. When I’ve found them lurking in our oaks, they’ll wait until I get fairly close before nonchalantly flapping away. The only fail-safe way to guard chickens from hawks is to keep them securely penned or in the coop. But, of course, that’s no fun for them. The CE and I go round and round about what level of risk is acceptable: quality of life or life vs. death? Some people recommend stringing aviary netting as I discussed in a previous post, others claim that nylon fishing line or hanging shiny CD’s to frighten the hawks will do the trick. I’ve also heard that getting a dog to guard your flock is the way to go. We’ve got the dogs, but I don’t think guarding chickens or anything else is in their DNA. 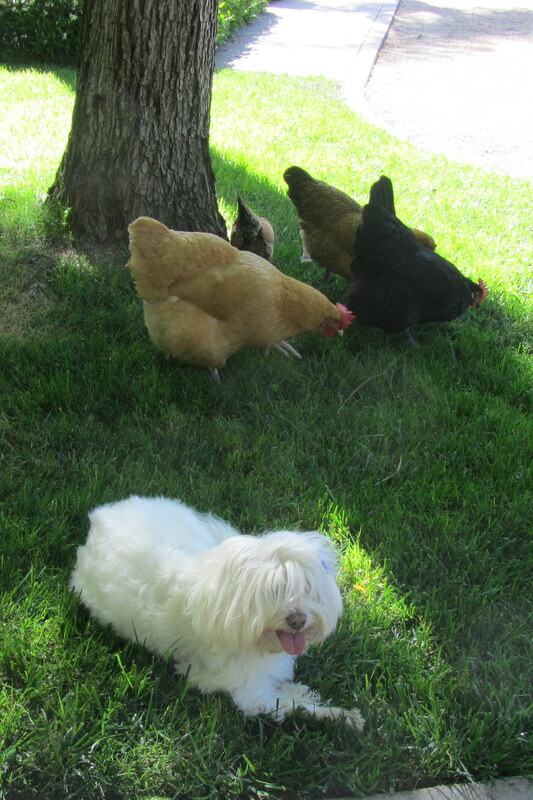 Soho guards the flock – sort of. If you’re lucky enough to live where you can have a rooster to guard your flock, that’s a first line of defense. Otherwise, providing ample cover for the chickens and hoping they’re smart enough to use it is key. 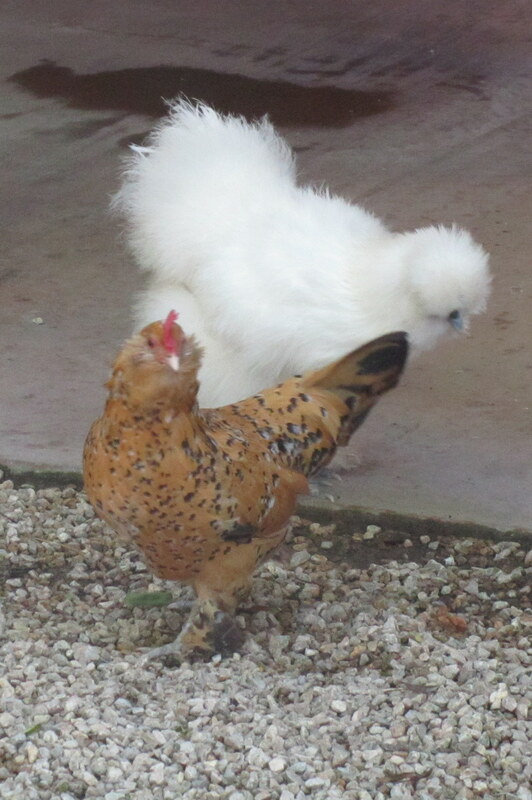 Our girls do seem to know how to scramble when death with wings swoops down, but one false move or a straggler like Luna whose Silkie pom pom obstructs her vision, could spell tragedy in the Chicken Kingdom. 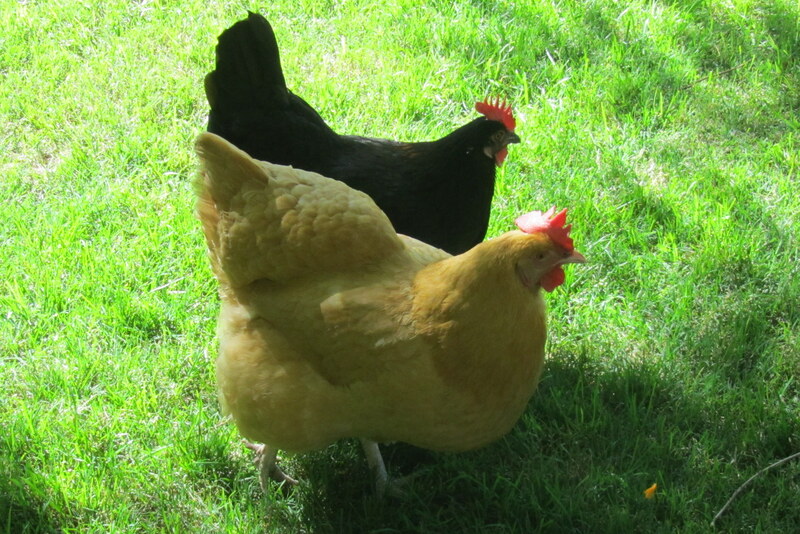 For the moment, we rely on vigilance – who knew that my job description would ultimately become Human Shield for Hens? 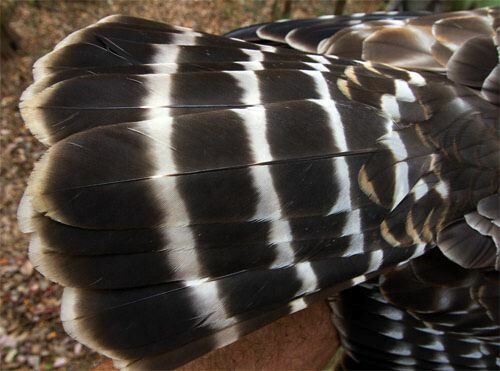 This entry was posted in All Things Poultry, Annoyances of Life, Chicken Facts and tagged animals, backyard chickens, Chickens, close-up hawk photo, difference between red-shouldered and red-tailed hawk, hawk, nature, red-shouldered hawk, red-tailed hawk, sound of red-shouldered hawk. Bookmark the permalink. 4 Responses to Bawk Bawk…HAWK! So frightening. And I’ll have to rethink my love of Hawkeye Pierce, Ethan Hawke in Dead Poet’s Society, and Stephen Hawking’s brilliance. Speaking of which – you’d think Hawking would come up with a defense mechanism. Except I understand that, against all odds, he’s quite the ladies-man so perhaps he doesn’t want to create a defense against trolling for chicks. I’d send Karma over to protect the girls but I’m afraid he would be too preoccupied following Dizzy around hoping for another kiss. Since the hawk has yet to dine on a chicken, I think you (and SoChlo’s intimidating presence) are doing a good job of keeping him at bay. Here in Northwestern CT we have Red-Shouldereds who’re raising kids in the back woods. We’ve just finished days of screaming. I’m thinking it’s the parents teaching the kids how to do it. I should ask our neighbors who have free-ranging chickens how they’re doing. This is a fun post. Yup. They make quite a racket when the fledglings leave the nest and learn to hunt. Thanks for your comment!